A five-hour New Year's Eve broadcast. Midnight celebrations are heard in three different time zones. NBC Radio swings cross country in its All Star Parade of Bands which goes from East to West. Ten of the nation's top dance bands swing 1963 out and 1964 in. At 11:55 PM, NBC cuts to Times Square in New York. 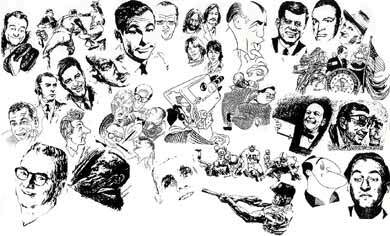 Ben Grauer reports and recaps the year 1963.